Pet Shops, Shelters & Pedigree | Will My Dog Hate Me? First, the Pedigree portion of this post. I promise you, it will make you feel good because you’ll be donating food to shelter dogs with a few clicks, even if you don’t have a blog. If you do… well, I’ll get to that. •Each year, more than 4 million dogs end up in shelters and breed rescue organizations. Pedigree created an adoption drive to help shine a spotlight on the plight of these homeless dogs. •This year the Pedigree Adoption Drive is raising awareness for homeless dogs by donating a bowl of food to shelter dogs for everyone who becomes a “Fan” or “Likes” The PEDIGREE Adoption Drive on Facebook. So far more than 1 million bowls have been donated. •Special for bloggers: For each blog that posts about the adoption drive through September 19th, Pedigree® will donate a bag of their new Healthy Longevity Food for Dogs to shelters nationwide. 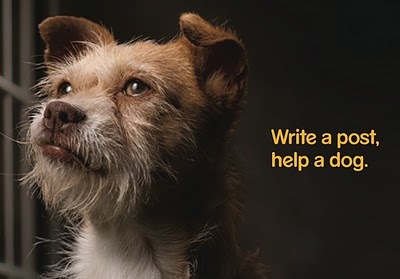 •Thursday, September 16 through Sunday, September 19, the Pedigree BlogPaws bloggers will host a Blog Hop to help raise awareness for the “Write a post, help a dog” effort. If you’d like to join, copy the bullet points above and share them on your blog. NB: It can be any blog, not just one related to dogs or pets. In fact, the more people outside of our community who are sharing the message, the better. After you write your post, head over to Life With Dogs and leave a link to your post. But don’t go yet. I have other, related information to convey. And you have to read down to the end of this post to learn what I think of the Pedigree spokesdog. Note: I will be signing books, not singing them, as the announcement says. My singing is a definite crowd repellent. 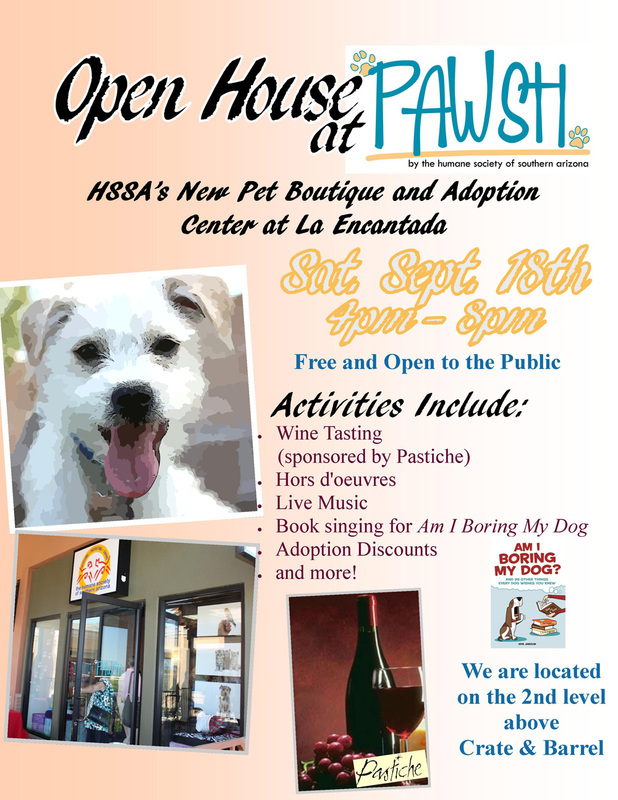 Tomorrow, September 18, I’m doing a book signing at a boutique pet shop called PAWSH in Tucson’s most upscale mall, where dogs and cats will be available. Exchanges of money for the pets will occur. So now you’re probably asking: ARE YOU OUT OF YOUR FRIGGING MIND? YOU’RE SUPPORTING PUPPY MILLS? Q: Could you explain the premise of PAWSH and your other pet boutique in Tucson’s Park Mall? A lot of people have a hard time coming to the shelter; they think it’s too sad. We’re hoping to create a new way of thinking about adopting, a different model, so people will be more likely to adopt. Pet shops in malls are popular, and we’re hoping to take their place so people become aware of adopting. Q: A lot of people who are more socially conscious associate boutique pet stores with puppy mills. Do you think they’ll be able to make the distinction that your dogs and cats don’t come from these mass produced operations? For one thing, people are aware of our organization. And we have a big sign on the door that says Humane Society of Southern Arizona with our logo. And we don’t only have puppies and kittens like pet stores do; we do have some, but also a lot of older pets. Also, we have a lot of information about where our dogs and cats come from, especially if they were owner released; we have the owners fill out forms about what their pets enjoy, what they’re scared of, etc. If they came in as lost animals, we know a bit less but we learn about their behavior in the shelter. All in all, we have a lot more information than any typical puppy mill-supplied boutique would have so we can find a home that’s a good fit. Q: You have a lot of smaller breed dogs in the shop. Why? We try to go on demographics. In this type of mall people are interested in smaller breeds, and they are more adoptable. It also gives the larger dogs in our shelter a better chance to be adopted because people who come won’t gravitate towards the smaller ones. My pal Mary Haight at DancingDogBlog has written about the topic of pet adoption boutiques, and I was going to direct people towards her post, but when I headed over to her site I discovered that the video she put up today was another example of marketing being used for adoption. And a really terrific one. So check it out. Ok, as promised, my feelings about the Pedigree spokesdog in the photo: I know a lot of people think he (for ease of ID; I have no clue) looks dignified, but he’s always given me the creeps, and I finally figured out why: It’s the lips and the expression, which make him look like a guy I know. I’m aware that humanizing shelter dogs is the point of the picture, but that pup seems to have my college friend David inside, trying to get out. Which is creepy. 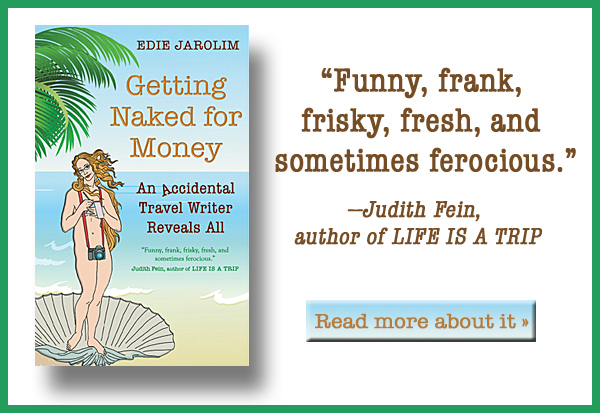 Hey, Edie. Thanks! Your post is 184! Sixteen more posts and Pedigree donates 4,000 pounds of food, and we still have over two days to go. I love what PAWSH is doing!! Love it love it love it! What a great concept (and marketing example) to drive adoption through a mall. The Humane Society has done some creative thinking. I was wondering how they organize it practically with the dogs. Are the kept there or moved back and forth from the shelter. And how do they promote the dogs left behind. I tried to find more info on their website but didn’t find any information. Doing adoption from a mall is also great for awareness and education. You are in people’s faces so to say, instead of in a far away shelter of which people read the occassional horror story from a unusual rescue in the local paper. Together with dancingdogblog’s post on the adoption marketing video this really promises new times for shelters and getting dogs adopted. The future is promising and I am really excited to see how this will develop further and what the effect will be on animal welfare. Yes, the site is not very informational. The pets are moved back and forth, which I initially found a bit worrying, but on the other hand they get out for fun day where they are interacting with each other and with humans in what look like play-pens (the dogs, anyway; the cats are in large crates). Those are good questions about the dogs left behind; I’ll report back after I go there today. Good insight about the size limitations in urban areas; I’m embarrassed to say I sometimes forget Tucson is a “real” city because it’s so spread out compared to NYC! I’d love the link to your post about the topic, Mary. I think that it is time for a change in how we present shelter pets. If a Boutique will do this for the millions of homeless animals, then I am all for it. I think we (meaning those of us who work with or in shelters) have been trying to help but perhaps in the wrong way. By presenting them as sad and forlorn we do more harm then good. I am starting to see signs everywhere of a new model, a new way of marketing, and it is encouraging. Thanks, Mel. It was a great event — a bit hectic but people got to see the place and how cheery it is. I was wrong about there only being small dogs showcased, incidentally; maybe it was just the luck of the draw. This time there were more large dogs and a lot of people were drawn to them. Our local SPCA has a cat adoption center in the local mall (I think they find dogs too high maintenance for that setting). It’s increased adoptions significantly. The funny thing is that our SPCA isn’t a grim, cheerless place. It’s one of the earliest no-kill shelters and the cats (and dogs) all live in large condos instead of cages and kennels. As a matter of fact, it’s a much more pleasant place to visit than the local mall. But maybe I’m just weird. Anyway, it’s great to see shelter pets getting better marketing. Maybe they need to start tweeting and blogging to get more attention! I love the idea of tweeting and blogging shelter pets! Facebook too. I bet a lot of the dogs and cats could figure it out more quickly than I have.